I’ve been teaching Beginning Crochet at my LYS for 16 months now, and the owner suggested that I publish the two scarf patterns I use in class. Here is one of them. Directions: Chain an odd number of stitches. 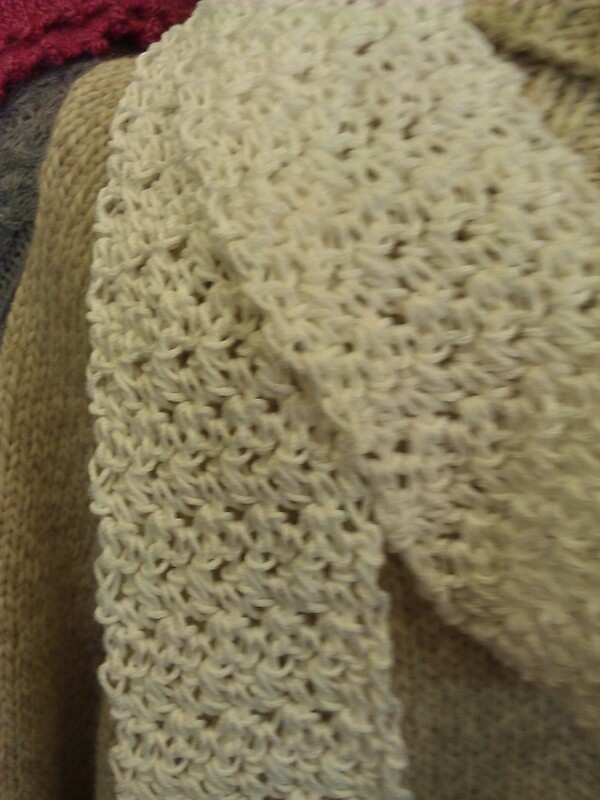 You may make the scarf as narrow or as wide as you like, as long as your starting chain contains an odd number of stitches. Row 1: 1 SC in 2nd ch from the hook, 1 DC in the next ch, *1 SC in the next ch, 1 DC in the next ch, repeat from * until the end of the row, ending with a dc. Chain 1 and turn. Row 2: *1 SC in first stitch (dc in previous row), 1 DC in next stitch (sc in previous row), repeat from * to end of row, ending with a dc. Chain 1 and turn. 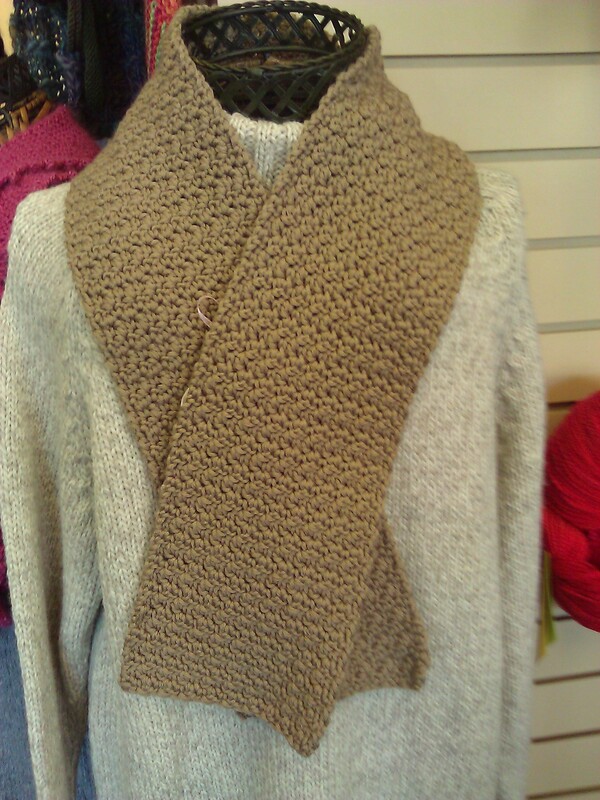 Worsted Weight version of the scarf was crocheted using one skein of Berroco Comfort. 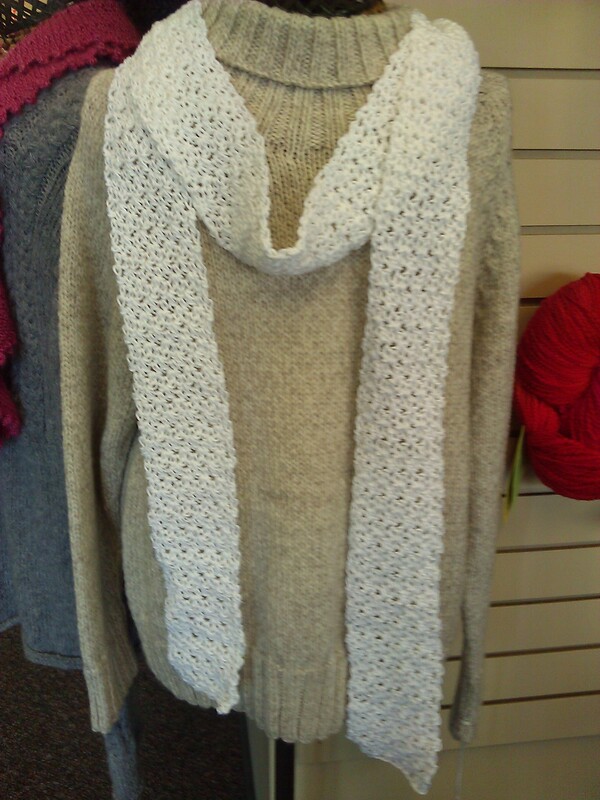 Sport Weight version of the scarf was crocheted using two skeins of Cotton Classic Lite by Tahki Yarns. PLEASE NOTE: WHILE I DID NOT CREATE THE STITCH PATTERN USED FOR THIS SCARF, I DID TAKE TIME TO WORK OUT HOW THE STITCH PATTERN WAS USED TO CREATE THE ITEM I WANTED, ALONG WITH THE TIME NEEDED TO MAKE SURE THE PATTERN WAS WRITTEN CORRECTLY. I AM OFFERING IT AS A FREE PATTERN SO BEGINNERS CAN EXPAND THEIR PATTERN LIBRARIES. PLEASE DO NOT COPY THIS PATTERN AND TRY TO SELL IT OFF AS YOUR OWN. YOU WILL BE CAUGHT AND ACTION TAKEN AGAINST YOU. Copyright November 2011 © Laura Krzak. All Rights Reserved. Duplication of this pattern is a crime and will be punished by law. Please observe all copyright laws. Please contact the author for permission to use elsewhere.